FBI investigating the possibility that a double stabbing attack in Virginia was ISIS-inspired terrorism. Was a pair of stabbings in Virginia on Saturday the latest ISIS-inspired attack in the United States? FBI officials told Fox News on Tuesday that they are examining the possibility that a 20-year old Arab-American man who stabbed two people in Roanake, Virginia is the latest ISIS recruit to carry out an attack on American soil. Farooqui stabbed a man and a woman in an apartment complex on Saturday, seriously wounding the two victims. Eye-witnesses claim Farooqui shouted “Allahu Akbar” during the attack, leading investigators to suspect the incident may be tied to international terror groups like ISIS. Adding to those suspicions is Farooqui’s past travel to the Middle East, including to Turkey, which is often used as an entry point by would-be ISIS fighters into Syria and Iraq. 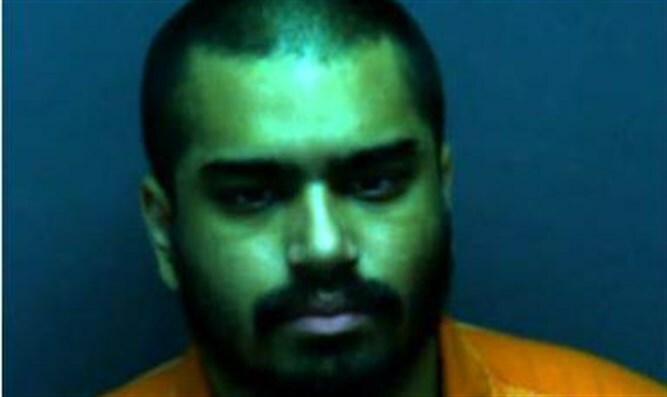 CBS News reported that a US intelligence official said Farooqui had “been on the FBI’s radar for months”, and that he had attempted to enter Syria. Farooqui, who was wounded at some point during Saturday’s incident – though details on his injury have yet to be released – is currently being held on two counts of aggravated assault.